My son, Braxton is seven years old, but has been a fan of The Wiggles since he was born! 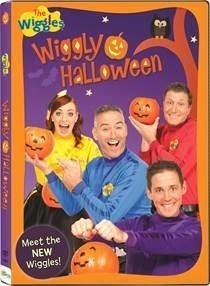 This fun-filled new DVD, Wiggly Halloween, is just the perfect mix of Halloween songs and silliness to get Braxton excited for Halloween! He was sick today and had to stay home from school, so he watched Wiggly Halloween over and over again. The music, songs and antics of The Wiggles gang are a great source of entertainment for my little guy. Disclaimer: I received a copy of this DVD to review. The opinions are my own.